Recipes using herbs in the ingredients. 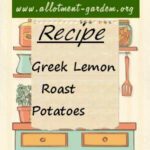 Recipe for Greek Lemon Roast Potatoes. A traditional accompaniment to the whole barbecued lamb at family Easter celebrations . 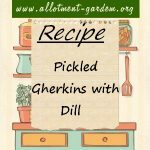 Recipe for Pickled Gherkins with Dill. Serve with ham and other boiled meats. Makes about 3 lbs (1.4 kg). Recipe for Cauliflower Couscous. This is a great substitute for rice for people who don't like rice and is quick and easy to make. Serves 4. Recipe for Spinach and Egg Curry. The coconut milk gives this simple curry a great depth of flavour and adds an appealing edge of sweetness. Serves 4 to 6. Recipe for Tagliatelle with Calabrese and Blue Cheese Sauce. A simple and satisfying dish that serves 4. Recipe for Mint Syrup. There are many type of mints and all make a delicious syrup. Best served diluted with soda or water and ice-cold. Recipe for Spiced Lentil and Vegetable Curry. Nice drizzled with a bit of coconut cream or plain yoghurt over the top before serving. Enough for 4 people. Recipe for Chilli Jam. This recipe can be adapted to use up gluts. I have made it with red peppers, celery and even rhubarb! Courgettes are our favourite. Recipe for Tagliatelle with Spinach Gnochi and Tomato Sauce . Serves 4 and makes an interesting and delicious way of getting your "greens". 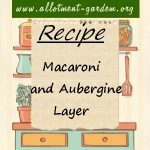 Recipe for Macaroni and Aubergine Layer. Enough for 4. 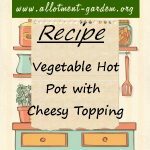 Serve hot garnished with parsley and accompany with a side salad. Recipe for Savoury Courgette Bake. A tasty savoury bake that serves 4. Garnish with tomato wedges and parsley sprigs. Recipe for Vegetarian Lasagne. A filling, satisfying meal for 4. Serve with a fresh, green salad. Freezes well. Recipe for Leek, Mushroom and Lemon Risotto. A delicious vegetarian risotto that is full of flavour and has a zingy, zesty taste. Serves 4. Recipe for Mushroom and Egg Savoury. A vegetarian main course meal that serves 4 when accompanied with fried potatoes. Recipe for Instant Pot Vegetable Risotto. A simple and filling recipe for an electric pressure cooker. Can also be made in a stove top pressure cooker. This meaty vegan chilli recipe is a hit with both vegetarians and meat eaters alike. Incredibly simple to make, frugal, and very tasty too. A soup that a filling meal in itself. 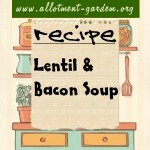 Although it's a lentil & bacon soup recipe, omit the bacon and it's fine for vegetarians. Makes 10 freezable portions. This easy Courgette and Dolcellate Soup Recipe is great for using up the summer time glut of courgettes that we always end up with. Can be frozen. A Vegetarian Gluten Free Vegetable Gratin recipe. Makes Enough for 4 good helpings on its own, or 6 if served with sausages. Recipe for Tomato & Lentil Soup. 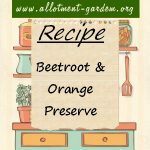 Adapted from a basic tomato soup recipe with the lentils making it more filling. Makes four to five hearty portions. Avery easy to make recipe for Radish Relish. Originated in 1720 and was devised by the head cook at Chatsworth House in the U.K. Recipe for Chilled Garlic Soup. Serves 6 people and is delicious although it sounds very unlikely, given the ingredients. No cooking involved. Recipe for Onion Pickle. Makes 1 to 1¼ lbs (500g) . This pickle needs to be refrigerated and used up within a month but you'll have eaten it before that! This sweet chilli jam recipe is straightforward to make and produces an unusual jam that can be used as an accompaniment to a curry like a mango chutney. Recipe for Courgette, Bacon, Chilli, Garlic & Pesto Pasta. These ingredients are for serving two but can obviously be adapted for more people. Recipe for Herby Dumpling Turkey Pot Pie. Delicious anytime but perfect on a cold winter's night. A great way to use up leftover turkey after Christmas. Recipe for Carrot and Coriander Soup. This makes four very large servings with a point’s value of half a point each (weightwatchers). Recipe for Sweet Cucumber Fridge Pickle. 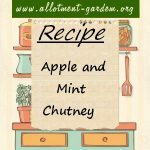 If you have an over productive cucumber patch try this - will keep for 2 weeks if you can leave it alone! Recipe for Moroccan Chicken. Serves 4 people when served with couscous or turmeric flavoured rice and flat breads. Recipe for Broad Bean and Radish Salad with Tahini Dressing. The Tahini dressing will keep for 1 week in the fridge. Recipe for Red Pepper Tapas. 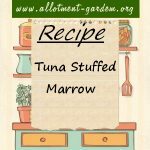 Brilliant with hard-boiled eggs and tuna. You can char the peppers whole over a gas flame before skinning. Recipe for All Vegetable Spicy Stir Fry. Ready when the greens are wilting, but the firm vegetables still have a little crunch left. Serves 2. Recipe for Peppers stuffed with Chickpeas and Onions in a Tomato sauce. Healthy, balanced vegetarian meal Enough for 6 helpings, serve with crusty bread. Recipe for Wild Garlic and Brassica Risotto. You can use wet garlic or leeks instead, the brassicas change as to what's left in the fridge! Recipe for Spicy Potato Curry. Serve with naan bread, chapati or dosa and natural yoghurt. An easy, very tasty vegetarian main course dish.